Today is March 1st. It is St David’s Day as well as the national day of wales for whom Davis is their patron saint. On such a day as well as other days of pride in Wales (such as yesterday when the Welsh beat France 20-13 in the Six Nations Rugby Tournament) the Welsh flag is prominent. It is a striking colourful flag too. It portrays a red dragon on a green and white background. Indeed the name is Y Ddraig Goch, meaning “The Red Dragon”. In more modern use (by which I mean Tudor times onwards) the flag is based on that used by Henry VII at the Battle of Bosworth Field in 1485. 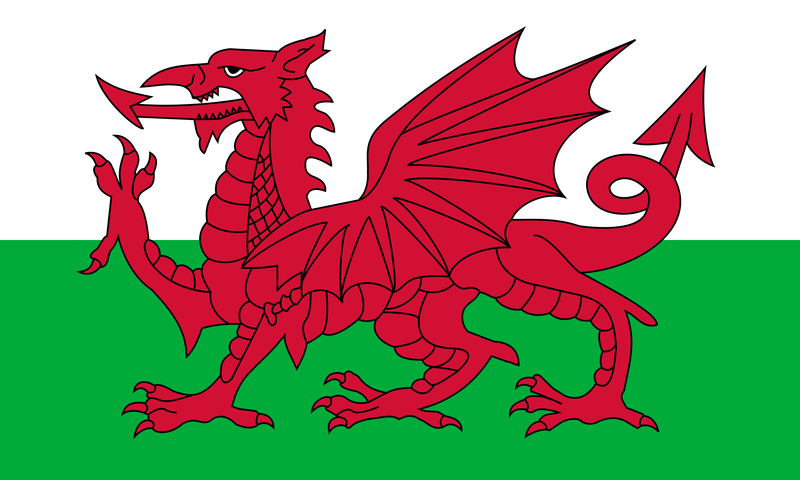 The elements that it incorporates are the Red Dragon of Cadwaladr, King of Gwynedd, along with the Tudor colours of green and white. After Henry’s victory it was then included in the Tudor royal arms. Oddly it took until 1959 for the flag to be officially recognised. 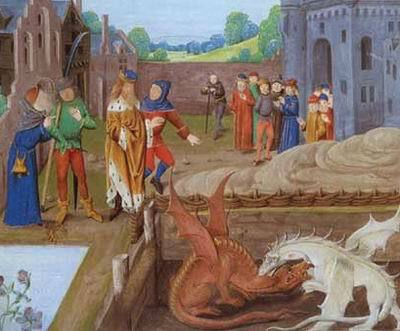 So the Red Dragon was used by the Kings of Gwynedd – but there is more history yet to uncover and more significance to the tale. 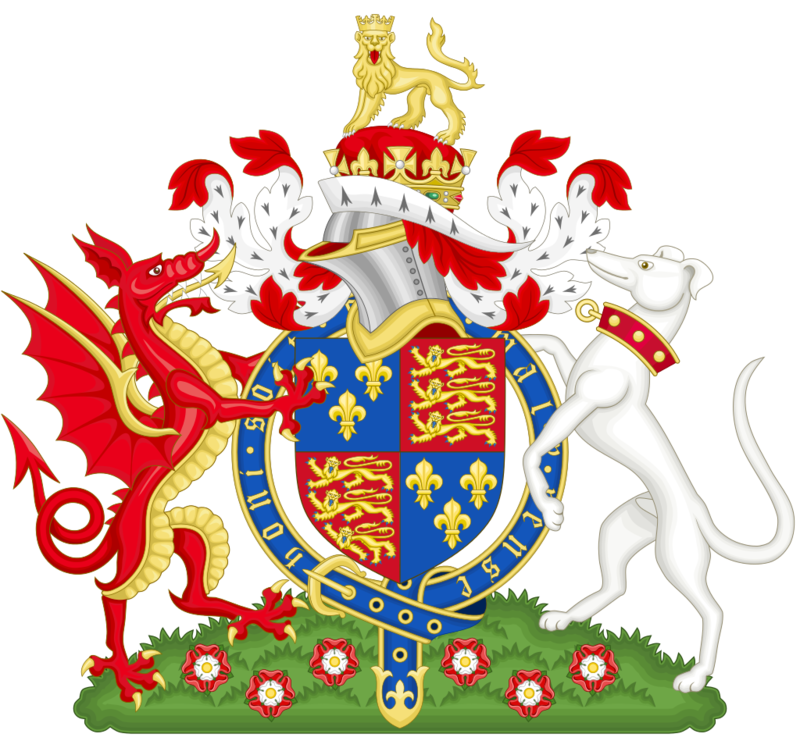 The reference to the the dragon being used to represent Wales is in the Historia Brittonum, written by Nennius around 830. In this there is the tale of a struggle between two serpents deep underground. These legends later appeared in the ancient book of Welsh tales and stories, the Mabinogion and also in Geoffrey of Monmouth’s Historia Regum Britanniae, where he states a prophecy made by the wizard Myrddin (or Merlin). According to the prophecy, the white dragon, represents the Saxons and the Red the Welsh (or Britons). The White – so the tale went – would first dominate but eventually the red dragon would be victorious . This legend is believed to represent the conflict in the 5th and 6th centuries between the Britons and the invading Saxons. It seems likely that by the time of Nennius the dragon was established as a symbol of the Romano-British. This is evidenced in Welsh poetry referring to who Cadwaladr king of Gwynedd from c.655 to 682. Some of that poetry foretold that Cadwaladr would rise triumphant over the Saxons – over the English. Hold on to that thought a moment, I will come back to it. Digging even further back into myths and legends and half remembered history we have to remember that the semi-legendary King Arthur is callled ‘Pendragon’ – or son of the Dragon and it is thought may have used a dragon as a standard. Arthur of course was believed to one day return and this same ‘once and future king’ theme was used again for Cadwaladr. Now it is been suggested that the Dragons of Arthur and Cadwaladr were possibly based on the standards carried by Roman cavalry units stationed in Britain. As the Romano-British probably used the remnants of the old Roman Cavalry units in battle this is quite likely. So then in the 5th and 6th century the Saxons were invading. In the struggles to keep them out the Welsh, possibly even united under a warlord called Arthur rode to battle under the Red Dragon. Later it became associated with a future King who resisted the English, the 7th century Cadwaladr. A powerful belief that one day the Welsh would triumph over the English and once again dominate Britain evolved, finidng its way into the Arthurian legends that Monmouth helped create. Then one day in 1485 Henry Tudor, who claimed decent from Cadwaladr use this flag at Bosworth. After the battle it is said that Henry was welcomed at the gates of the city of Worcester with this poem. Long hath be told of such a prince coming. This same is the fulfiller of the prophesy. So here we have the 15th century interpretation of the fulfillment of the prophecy of the triumph of the Red Dragon and the return of the ‘Once and future king’, hundreds of years later in the form of Henry. Funny how history works out.